The Digital Research Library of Illinois History Journal™: How two Illinois men helped keep Adolph Hitler from developing the atomic bomb. How two Illinois men helped keep Adolph Hitler from developing the atomic bomb. One reason Adolph Hitler was so anxious to invade Norway during World War II was that it offered him access to heavy water, or D2O, a key ingredient in his plans to build an atomic bomb. In the mountainous region of southern Norway, near the village of Vemork, the Fuhrer in 1941 commandeered a hydroelectric plant to separate heavy water (deuterium oxide) from its common cousin, H2O. Allies and Norwegian resistance fighters were aware of the plant. It was sheltered under a rocky ledge, though, and could not be bombed from the air. Thus the Nazis were able to separate the heavy water and ship it to Germany. Had it not been for the efforts of a small town pastor and an editor from Gardner, Illinois, they might have been able to build their bomb and drastically alter the outcome of the war. 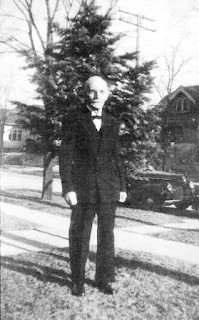 outside his home in Gardner, Illinois. Christian Christiansen was born in Sandnes, Norway, not far from Vemork, in 1859. As a child, he became intimately familiar with the Fjords, rivers and mountains of his native land. As a young man, he joined Norway's massive merchant marine fleet and sailed across the Atlantic Ocean several times. 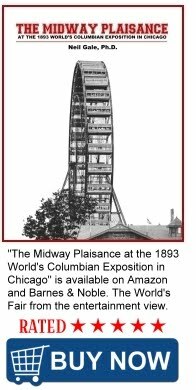 In 1881 he crossed the Atlantic one last time and settled in Chicago. There he worked all day for up to $1.50. At night, he attended a Lutheran seminary. Ordained in 1888, Christiansen became a circuit rider between York, Illinois, and Gardner, about 60 miles south of Chicago. Near the turn of the century, he accepted a call to pastor churches in Gardner, Gardner Prairie, and Grand Prairie. After a decade there, a dispute with parishioners drove him to northern Wisconsin for 23 years. When his Gardner congregation asked him three times to come back, he finally agreed to spend the twilight of his career there. Among his neighbors when he returned were the Parkinsons, publishers of the Gardner Chronicle since 1865. He became particularly good friends with young Burt Parkinson, who would soon become the third generation to head the paper. Although Burt was in his 80s, he still has a vivid memory that separates editorial wheat from chaff. 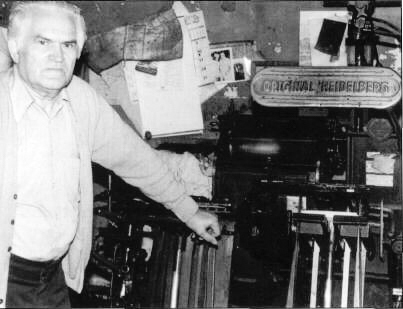 Burt Parkinson and his Heidelberg Press, 1985. "My grandfather once published a daily paper in Braidwood," he said. "It was a much bigger city then because of coal mining. Anton Cermak was his paperboy. I remember we used to visit him after he moved to Chicago. My grandfather would set me on that big desk while the two of them went to work on memories. Later Chicago Mayor Anton J. Cermak was shot and killed in an assassination attempt while shaking hands with President-elect Franklin D. Roosevelt during an event in Miami, Florida in 1933. "Walt Disney used to be a good buddy of mine, too," Burt continued. "We used to go drinking once in awhile. He was with the Chicago Herald and Examiner, a Hearst newspaper. They were the first ones to publish his Mickey Mouse strip. The Chronicle then was eight pages long. We bought prepared inserts from Chicago. They were four pages of world news about a month late. The other four pages we did ourselves." "The old reverend was a friend of mine," Burt said. "I loved him. Every morning he would come in the office and we'd sit there and chat. One morning he came in with a Chicago Tribune article about the plant "Look here, Burt," he said. The English had been bombing it, but that shelf of mountains protected it. The reverend said, "I can show them how to get up underneath and bring a warship in." Nobody knew the depth of the fjord or anything that might be in the way. I said, "Let"s call the Navy." I knew one of the guys up there. The reverend said, "Fine." "The next Sunday morning after the sermon, the reverend invited me over. A line of cars was parked out front. Out on his kitchen floor two admirals, one from England and one from the U.S., had laid out a map as big as a dining room table. We all got down on our hands and knees. The reverend took a red pencil and drew his own map on the bigger map. Then they left." 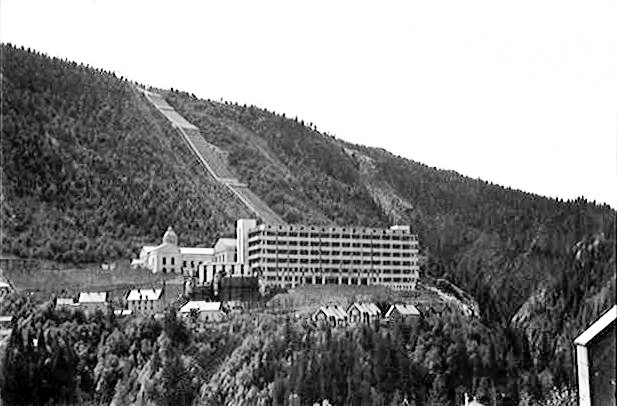 The Vemork Hydroelectric Plant (1935) - Heavy water was produced in the Hydrogen Production Plant (the front building). Burt believes that English warships destroyed the heavy water plant within a week of the Gardner meeting that he arranged. This cannot be easily documented. What is known is that Allies and Norwegian commandos attacked and seriously damaged the plant on at least three separate occasions. These operations—codenamed Grouse, Freshman, and Gunnerside—finally managed to knock the plant out of production in February of 1943. In February 1943, a team of SOE-trained Norwegian commandos succeeded in destroying the production facility with a second attempt, Operation Gunnerside, later evaluated by SOE as the most successful act of sabotage in all of World War II. These actions were followed by Allied bombing raids. The Germans elected to cease operation and remove the remaining heavy water to Germany, but Norwegian resistance forces sank the ferry carrying the water, SF Hydro, on Lake Tinn in late 1944. The U.S., meanwhile, was able to develop its A-bomb without using D2O. "It gives me great pleasure to inform you his Majesty the King of Norway has instructed me to present to you a Diploma in recognition of your valuable services for Norway during the last war... May I extend to you my heartiest congratulation upon this well merited award." The letter was signed by the Ambassador of Norway. The specific impact of the Reverend Christiansen's contribution to the war effort has never been offically detailed. This is due in large part to its classified nature. However, Burt has a copy of the deploma from the King of Norway thanking the reverend for his "valuable services" to his native country during World War II. And he also has the surety that he and his old friend did the right thing at the right time. Christiansen died in 1947 and is buried in the Norwegian cemetery near Gardner, Illinois. The movie, The Heroes of Telemark, staring Kirk Dougals and Richard Harris is roughly based on this event was released in 1965. It was filmed on location in Norway with former members of the underground serving as technical advisors.